Pacific Pergola was formed as an expression of Jonathan Burnett’s interest in finely crafted wooden structures. 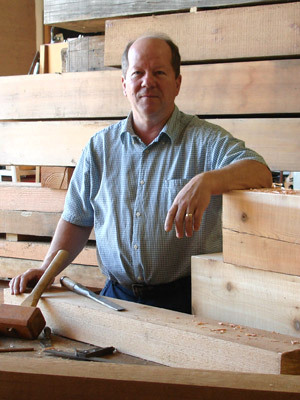 Jonathan has spent the last thirty years honing his skills working with wood. Our architectural landscape structures are handcrafted individually with timberframe joinery. Our pergolas are not mass-produced. Instead, each is given the care it deserves to endure from generation to generation. Jonathan Burnett, our founder and owner, believes in being a good steward of the Earth's natural resources and is committed to the use of raw materials that are renewable, recyclable and/or reclaimed. We are committed to pergola design of the highest quality. We thoroughly enjoy creating handcrafted, timberframe outdoor rooms for your enjoyment. We desire to be a reflection of the Creator's grace. How may we be of service to you? Please contact us.